Which is predictable. Boring. Self-aggrandizing. Obvious PR. And pays no due tribute to our kind, compassionate, wonderful donors and their desire to be of service to others suffering in pain and danger. 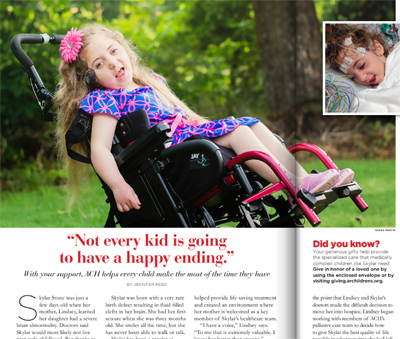 So, who does benefit from the typical hospital newsletter sent to donors? Well, printers love them; we’re talking serious money. The parents of any doctor or nurse celebrated in their pages wouldn’t mind a few extra copies to hand out to their friends. So, where does the donor end up in typical hospital newsletters? All but ignored. Subordinate to news of the great medicine. Hardly thanked at all. Above: ACH stories are authentic, not dismissible PR spittle. Not at Arkansas Children’s Hospital, though. 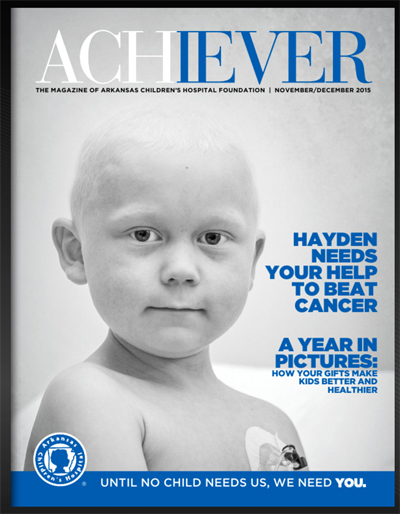 Not under the editorial leadership of Jennifer Cobb Pyron, Director of Communications and Planning at the Arkansas Children’s Hospital Foundation. Jennifer has made her #1 goal: donor-centricity, with the ultimate intention of moving the ACH donor newsletter from a cost-center to a profit-center. Notice the word “you” in the big type. Notice the focused “simplicity” of the cover design. Notice who gets the primary credit. 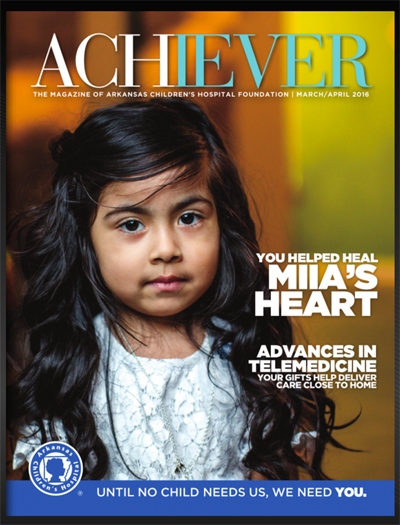 Not the hospital, although the newsletter gladly talks about cutting-edge stuff like “advances in telemedicine.” Nope: the donor gets the front-page, big-type credit. As you can see from the covers above, that all-important “gift of joy to the donor” (i.e., the message that “you matter a lot”) is delivered within the first few seconds of the reader encountering each new issue. 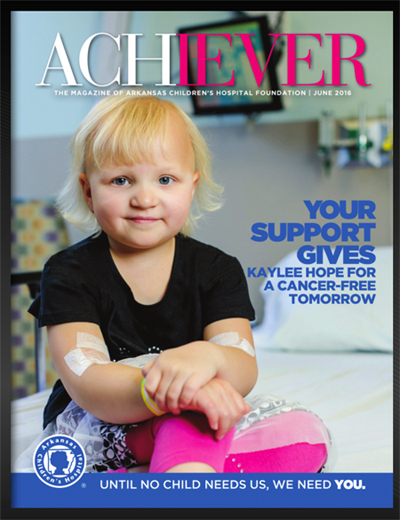 ACHiever is a publication purpose-built to succeed with donors. Most other hospital publications? Built to fail. Yours? Probably. Jennifer recently wrote to share her numbers. Since she went “ultra-donor-centered,” her newsletter has attracted steadily rising donor support. Now the publication is comfortably in the black for the first time ever. Here’s where she’s at, financially. PLEASE NOTE: ACH invests more each year. Dear boss at other hospital foundations: Pay heed. In the BLACK: $7,667It took four years.Remember: every communication with your donor is a “customer service experience.” It can be a very good experience … a just-okay experience … an indifferent/forgettable experience … or plain rude.You, hospital foundation, decide.